The Rzany & Hund private practice stands for the best in dermatology services and a doctor-patient relationship of mutual trust. For everyone, whether privately insured or paying for treatment themselves. Rzany & Hund is a private practice. The doctors’ bills are not charged to health insurance funds but directly to the patient. This makes the treatment costs transparent for you. The treatment invoice is composed of individual services invoiced at the rates stated in the Gebühren­ordnung für Ärzte (GoÄ) – the German doctors’ fees scale. The first consultation/examination costs approximately between 30 and 100 Euro. Accompanying examinations using technical equipment or laboratory tests are invoiced in addition. We will be happy to provide you with a cost estimate upon request. 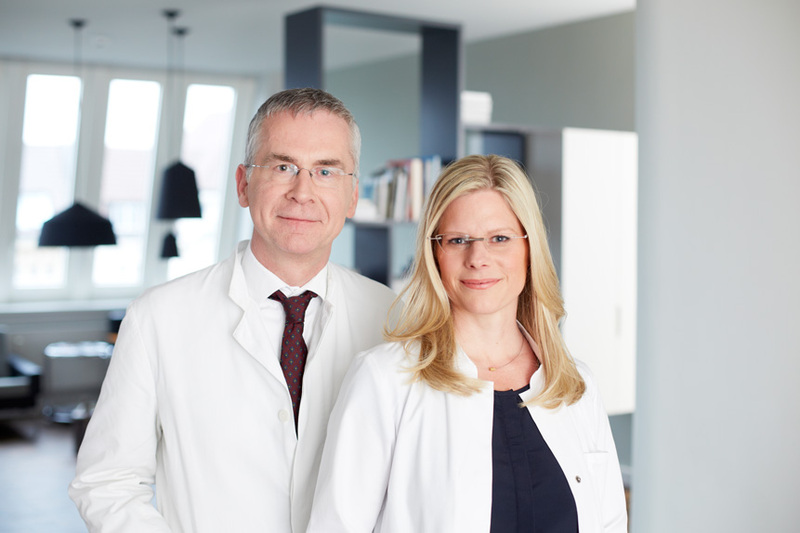 Rzany & Hund met at the highly renowned Charité hospital in Berlin-Mitte: both of them worked there as senior dermatologists at the Clinic for Dermatology. The beginning of a perfect clinical team and mutual source of inspiration. Together, they cover the spectrum of dermatology, venereology, allergology and aesthetic medicine. Simone Giese supports as a clinical assistant our Team since March 2018. Matthias Knospe supports Rzany & Hund as study assistant since March 2019. In April 2019 Melanie Beyer joined our team as study- and clinical assistant.